In order to provide early detection of congenital problems and infectious diseases, new puppy and kitten examinations are strongly recommended before exposure to other pets. 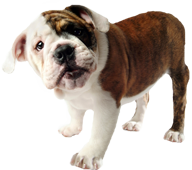 This also allows us to set a schedule of vaccinations and discuss the proper care of your new pet. We also encourage owners to ask any questions they may have about their new family member.